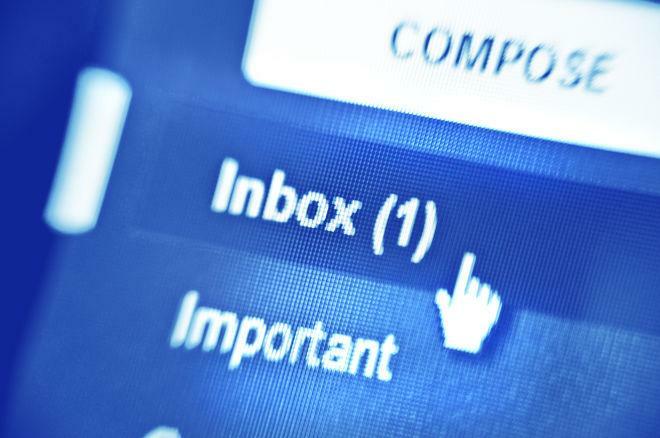 Email poker has existed since 1991, making it older than Fedor Holz and Adrian Mateos. How does it work? One of poker's oldest tournaments will crown its latest champion next summer. In its decades of history, the likes of Greg "Fossilman" Raymer and the now-infamous Chris "Jesus" Ferguson have made their marks. It began as just a handful players and ballooned into thousands following the 2003 boom, with participation settling around current levels in the past few years. Yes, it's time once again for the World Rec.Gambling Poker Tournament. If you aren't familiar with the WRGPT, you can be forgiven. Self-proclaimed as “probably the world's oldest and biggest free email poker tournament,” it exists in a niche community supported by a few hundred loyal players. It's been running since 1991, making it older than current poker champions Fedor Holz and Adrian Mateos. Ken Anderson first participated in WRGPT back in 1993, when it had 195 players. The software engineer volunteered for an administrative role a few years after that and runs the show nowadays as the “floorperson,” along with David Widder. The two of them continue to improve the software running the tournament, while also resolving disputes and making rulings. Anderson believes nostalgia is likely the driving force behind the continued success of the WRGPT. “The appeal is probably the same type of appeal there is for vinyl,” he said. Niche communities still support text-based dungeon-crawlers and role-playing games despite the proliferation of RPGs on gaming consoles and computers that sport stunning modern visuals and animations. Super Nintendo Entertainment System Classics are flying off the shelves about 25 years after they were first released. These anachronisms continue to exist, so why not text-based email poker? Industry stalwart Kevin Mathers stumbled upon WRGPT over a decade ago and has played every year but one since 2004. The longtime TwoPlusTwo forum mod recalls seeing something about the tournament on a forum and being drawn to its charm. According to Anderson, the idea for the WRGPT came to creator Will Hyde from postal chess, in which players transmitted moves by mail. Inspired to try a similar idea with poker over email, Hyde gathered three decks of cards and contacted three tables worth of friends from a USENET group rec.gambling. He dealt the cards to the players' positions in his office and then emailed the players to tell them their holdings, receiving their actions in response. The tournament played out move-by-move that way until only inaugural champion Steve Jacobs remained. The next year, software engineer Ron Duursma wrote a program to automate the game through email, ushering in the “modern” format of the WRGPT. The mechanics of the game start with an email from the automated dealer informing the player of his or her hole cards. 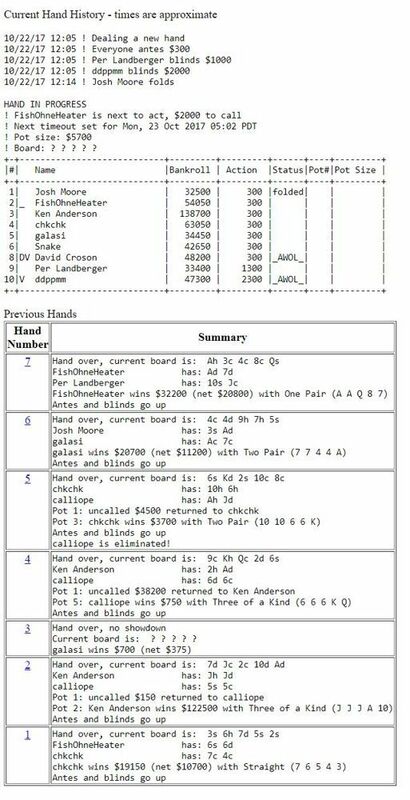 A separate email then arrives with a text layout of the table, featuring positions, chip stacks, etc. Players respond to the emails with a set of commands informing the dealer of their actions. Players can use basic commands like betting and folding, or more advanced options that include “if conditions” ranging from how many players remain in the hand to how large or small the pot becomes to what actions have been taken by players yet to act. It might sound complicated, but Anderson said it's all relatively simple and most players figure it in just a few hands, which is why there's a practice round every year before the real tournament starts, usually in October. The first automated event, WRGPT2, ran in 1992 with about 130 players. Two years later, it had nearly tripled in size. It was pushing 1,000 entries when Anderson himself won the 1998-99 tournament. The poker boom years following Chris Moneymaker's World Series of Poker win saw the popularity of online poker explode. While numbers for the WRGPT didn't exactly soar in kind, it did peak with 1,314 entries in 2006. Hundreds of online poker players, eager for any chance to participate in a tournament, joined the WRGPT only to drop out when they realized how slow the pace was compared to the instant action at places like PokerStars. That same slowness, though, appeals to some. "I think people like [it], giving time to study the opponent, time to think, maybe discuss the hand while the hand is still in progress." Numbers slid back to the triple-digits over the next few years and appear to have settled around 600 entries. Registration for WRGPT27 just closed and the first hands were dealt on Monday. While the field is mostly populated with anonymous poker enthusiasts, there have been a number of poker superstars and other industry notables known to play. The aforementioned Raymer and Ferguson have participated, as have pros like Phil Gordon and Perry Friedman. Poker author Lee Jones, now PokerStars' director of communication, won WRGPT4, which ended back in 1995. As long as the poker industry's nostalgic vinyl collectors keep emailing in their registrations, Anderson plans to keep the server humming and keep alive the brainchild of Hyde, who Anderson said died in 2014. “I have played since WRGPT3 so why stop at WRGPT27 which is this year?” Anderson said. “I run the tourney because we still have 500-plus players signing up. I might still run it at 50 players.